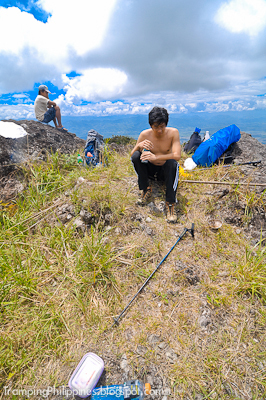 One of the best parts in mountaineering is the feeling of peace, tranquillity and serenity it brings. ...thus finding a relatively unknown mountain is a priority. 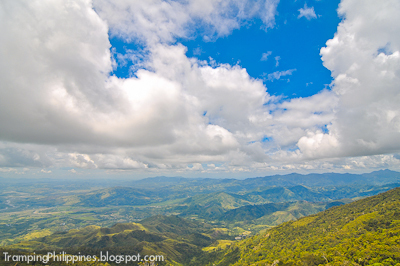 With this in mind, we stumbled upon a lesser known mountain in Nueva Vizcaya named Mt. Palali. So unfamiliar it is that we found out that the last logged climb was 2 or 3 months ago. Our guide even informed us that some scientists spent months at the campsite to study the vast flora and fauna of the place. 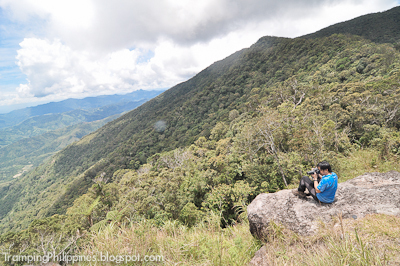 After the arrangements, we set our sights for a 5-hour climb. The climb experience we had in the hike was astonishing. 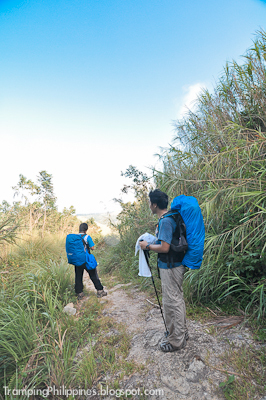 After starting with wide trails, our pace became a bit slow because of the sudden vegetation overgrowth but it was a nice complement for the fresh air that surrounded the place. 2 and half hours after the hike, we came to a halt and rested at the first water source. It was still a bit tiring. 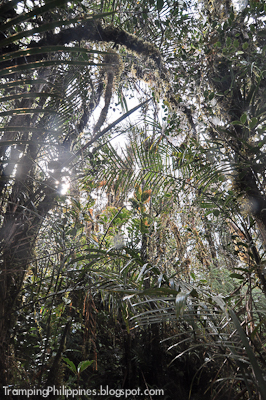 The heat of the sun and the lush overgrowth collectively gave us almost 100% humidity. After 5 hours of hike, our tired bodies ached for a well nourishing lunch. 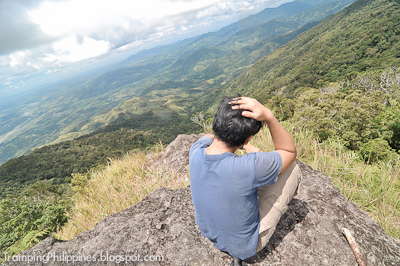 With our hunger gone, we found rest as we stood up the ‘haring bato’ viewpoint relishing the view of Nueva Vizcaya. 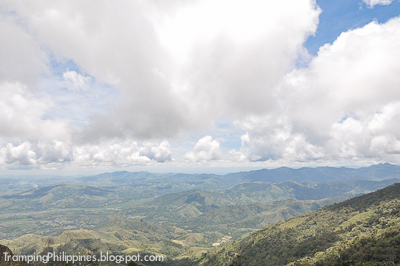 Peaks of Cordillera mountains can be seen, it was a very majestic sight. After only an hour and a half of extra hike, we finally stepped on the grass of the campsite. The first thing we did was lie down. We didn’t even think of setting up camp immediately. We just stared at the clouds and let our spirit sink in with the environment. Before sundown however, we made sure our camps and shelters were set. After a good long nap, we prepared food, ate dinner and mingled with the hymns created by the surrounding nature and the creatures that was up that night. Savoring the good time we had with this extraordinary encounter, we rested for a bit then lulled to a full sleep. At 6 the morning after, we started to climb up the summit. It took us a good 1 hour and 30 minutes of hacking and slashing through the dense forest but finally we had a peek at the view. 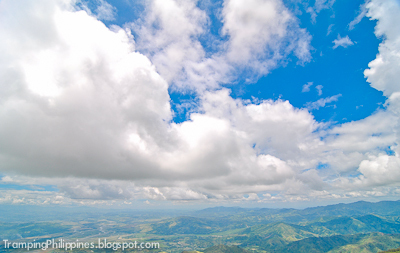 Sea of cloud formations had the whole Nueva Vizcaya covered. We had to scramble up a bit to catch the views but still, we found it refreshing. After 30 minutes of rest, we went back to the camp. We ate heavy laden breakfast before going on with our journey to the jump off. 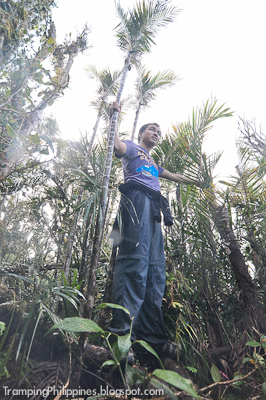 Giving adequate time for our food to be digested, we started the 4-hour trek down. We took a dip for about an hour then decided to continue to the jump–off afterwards. Buko juice awaited us at the jump-off. Gulping big amounts of the giant fruit, it was refreshment at its best. We shared stories with the locals about the mountain. They even knew that it rained a bit during our climb. It was a fun hard climb after all. I never expected Mt. Palali would give us this kind of challenge. 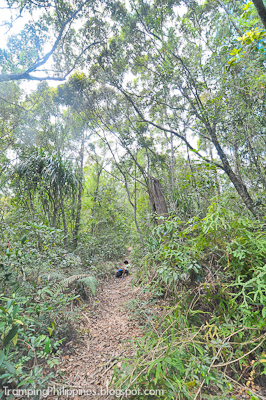 This was the first time our group climbed on dense overgrown vegetation such that hacking and slashing through the grass was needed to proceed. Adding up to the beauty of the place was the cleanliness of the entire mountain. I can’t even recall to my memory any single trash anywhere along the trail. It was a good sight. In conclusion, this trip gave me one of the best climbing experiences I had. It was a hard climb but at the same time, it was relaxing. Only a few mountains can give me the peace, tranquillity and serenity I have been searching for. And for giving me that, Mt. Palali deserves my gratitude. Take a Tuguegarao-Bound Bus at Sampaloc Bus Stations. 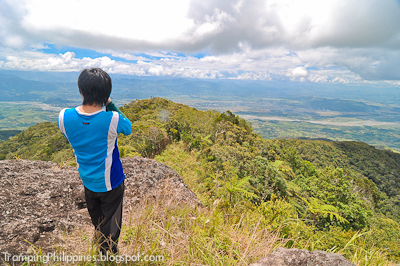 Tell the driver to drop you off at Solano, Nueva Vizcaya. From there, take tricycle to Brgy. Maddiangat barangay hall. You can contact Kuya Bonifacio at 09163388554 for tricycle and guide arrangements. Thank you for the information Sir. Hope to climb Mt. 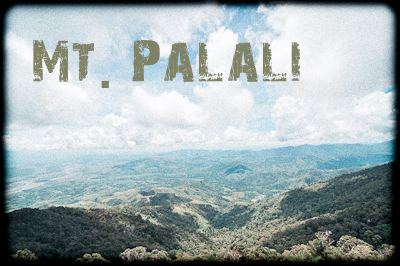 Palali soon. 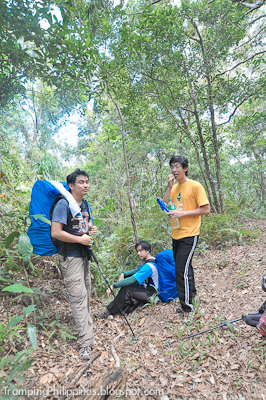 sir some my friends climb there few months ago khit may guide sila hinarang sila ng somewhat "KULTO" or something like small community sa isang part ng trail dyan s palali hindi nmn sila ginalaw pero they insist that the group should stay a night with that group the coommander ordered that.. wla naman nangyari just want to ask if did you encounter such thing? Yep, its a beautiful place. what about the domeng domeng group? no way! what kulto? i am suddenly reminded by many thriller movies.. Peaks of Tirad pass and other Cordillera mountains can be seen, it was a very majestic sight. I'm quite sure that we saw Tirap peak. our guide and other locals even confirmed it when we asked. The Pointed summit was at the center of high mountains but a brief valley was the reason why it was seen. hehe. anyways. thanks for the comments. 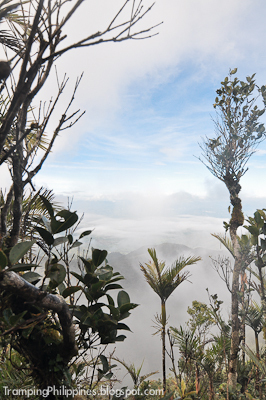 Also, the summit is very unique that you can really distinguiish it as Tirad. @yup - its still the cleanest mountain I ever stepped on. Unfortunately, the river down the falls was laden with large leeches. Not limatiks but full grown leeches. 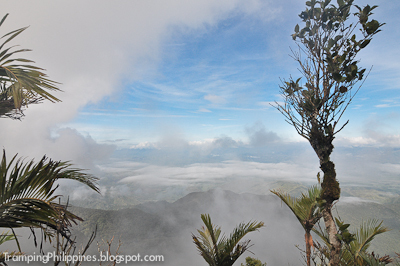 Yup> Napulauan Amuyao and Bakun trio would be an article here this coming 2012. thanks for the info! Oooh! thanks for sharing..gusto ko din nito :) Idol Dane! btw..how much guide fee? thanks.. hehe. ung guide fee 500 ata per day. 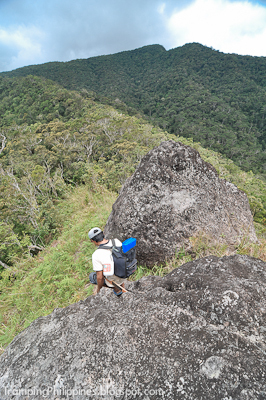 cinontact muna namin ung trycycle driver bago kami pumunta para alam din nila na kukuha kami ng guide at masabihan bago dumating para di na matagal ung hintayan..
You can look for a mountaineering club near your vicinity. start with small mountains and a right state of mind. enjoy it! Sure. But for now busy kami sa mga kung anu anung bagay kaya di rin maka-akyat regular. hehe. Will inform you if me akyat kami dyan! Thanks. Hi. Thanks a lot! 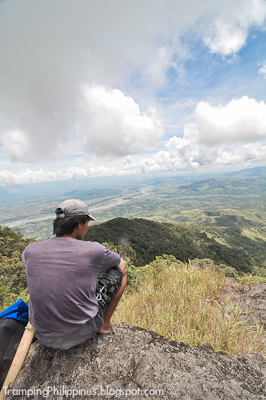 Hopefully makapag-arrange ulet kami ng open climb. We've been a bit busy lately! Thanks again! Hello! Magkano po ang reg fee at yung tricycle per head? tnx! Trycycle is 100 per trip. The Registration fee is not more than 100 pesos, I just can't remember it clearly. Parang sinabay na kasi ung bayad sa guide and registration nung umakyat kami. But that was last year. You can contact the number above to double check the rates. yes per trip. but better yet contact kuya bonifacio for the updated rate and guide, sha din kasi tutulong sa inyo kumuha ng tryk and guide. minsan kasi pag dating mo dun sa brgy hall sarado pa tas saka lang maghahanap sayang sa oras. hehe. Hope your climb went well! Sir, ilang tent po kasya sa campsite? The campsite is not that big but I think it can fit 5 or 6 tents. Not super sure since its a while since our last climb there.